This holiday in Kazakhstan (as in other countries in Asia, such as holidays in Uzbekistan ), fans can find and cultural values. 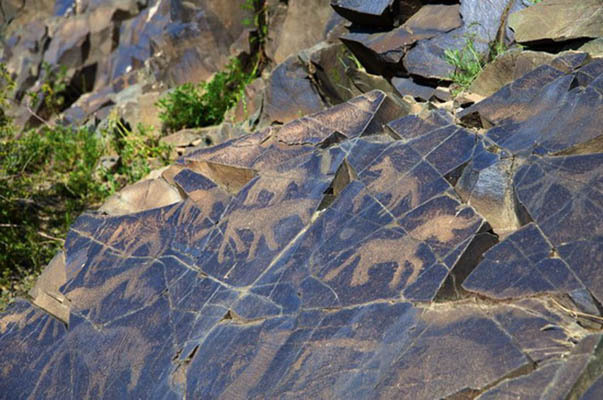 One of the most remarkable beauty of Kazakhstan, combining mystery and worldwide fame, which can be seen only by ordering a flight Uzbekistan Airways is Tanbaly petroglyphs. At the beginning of the twenty-first century, UNESCO decided to include this property on the World Heritage list. 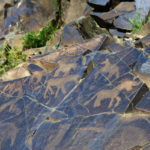 The main reason is that only here the petroglyphs are located in completely unique composition, which cannot find anywhere else. 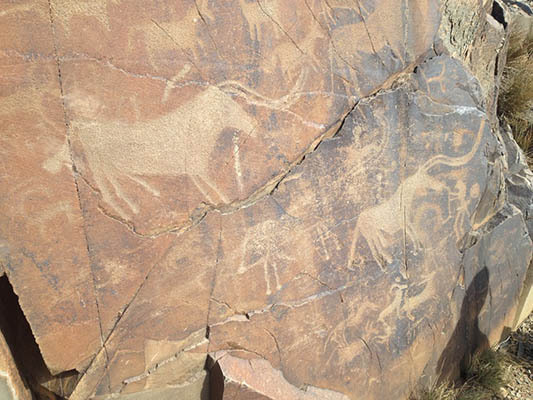 The archaeological complex is located at some distance from Almaty, near the village of Karabastu. Shortly before the World calling, the State has established in the area of the excavation state museum, which is under the open sky. For the first time archaeologists have turned to these mysterious figures in 1957. 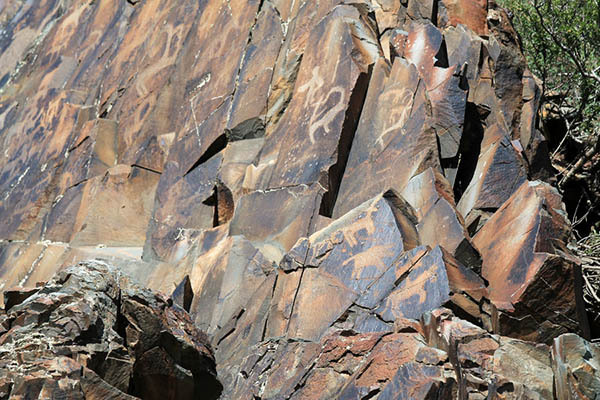 The first scientists were able to identify at least one of the periods when the petroglyphs decorate the walls. It was the Bronze Age. Later it was found that the pictures appeared here for a sufficient period of time. The latter were drawn in the fifteenth century AD. One of the most striking sights Tanbaly – it’s 118th plane, which is the shaft, four meters high, and six long. It shows the mysterious creatures with six heads and one human body. One version elevates the image to the ancient legends about Ogyz-Kagan, who was a famous hero of many legends and is considered the ancestor of Oguz tribes. According to legend, in Ogyz-Kagan had several sons. First of them was called the Sun, and that is surprising on the walls you can see the image of the person on whose brow disperse sunlight. The second picture, depicts the human, instead of the head which you can see the full moon. Therefore, scientists have found that you can see the second son, the moon. 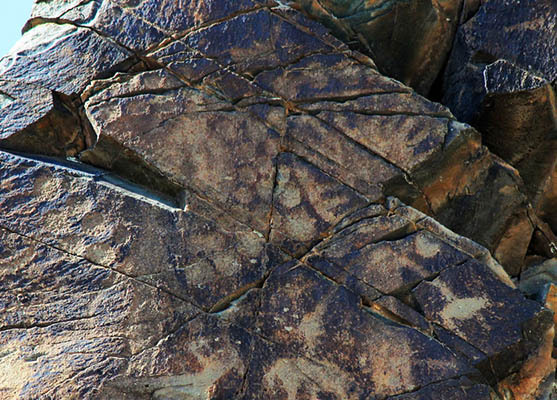 The head of the third petroglyph adorn the tiny star that leads the archaeologists to believe that this star, as a child Ogyza. Drawing Rights, which instead of a head, we can see the symbol of the sky, the sky is clear shows, also the son of Ogyza. 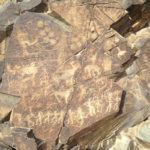 In the last two petroglyphs stand before the audience strange human figures, with a round head, and the one that resembles a sea. Adjective round also means high. So, here through the walls appear the images of the children Ogyza, mountain and sea. 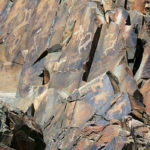 However, other petroglyphs confirm this theory. For example, twelve human figures moving in the dance. According to one of legends, Ogyz-Kagan was able to divide the territory of their ancestral lands in the 12 aimags, and therefore areas. 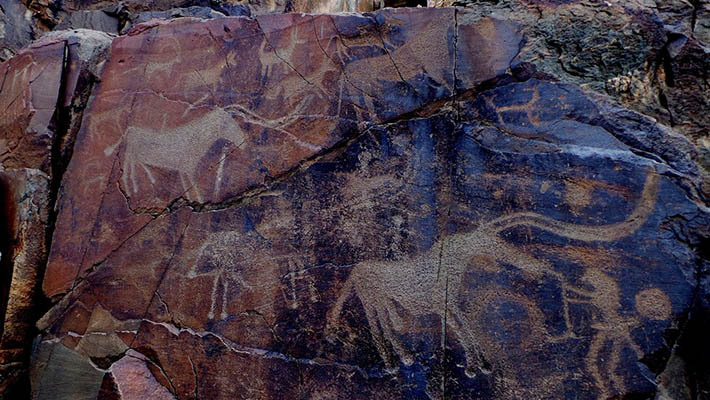 Therefore, some scientists and dared to suggest that these dancing figures could portray the horsemen, and that are on the rocks Tanbaly aimags. It was supposed to be here and petroglyph, symbolizing the greatest hero. However, now it is not possible to find – perhaps this is the plate suffered a ruptured when an artifact carried Almaty museum. Survived only a photo of the object, and they can see some powerful figure, covered with hair. And the hero himself confer such traits as his legs like a bull covered with hair and body bear the body. 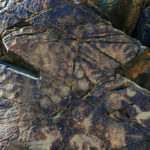 Even female figures drawn on the rocks, as if go with legends pages telling about the hero. Perhaps it is the mother of two and wife of the hero. According to this theory, the entire archaeological complex is the message Orgyza future descendants. In total, the Tanbaly can see about two hundred pictures, and some of the paintings that can be attributed to the last period, sometimes superimposed on older ones. These latter loomed more animalistic in nature and often are at some distance. They are credited with Saks. In general, on the walls you can see the deities of the sun instead of a head, soldiers, women in labor, as well as a variety of scenes. 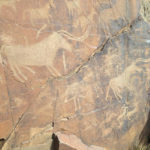 This hunting scenes and animal sacrifices, namely the bulls. In addition to all this, you can see many luminaries characters. 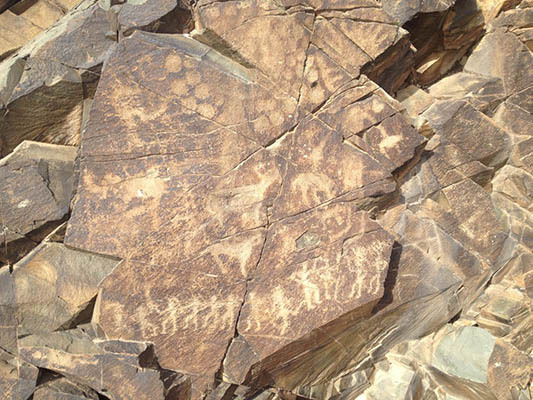 The place was certainly sacred, because in addition to the petroglyphs on site can be found, and the altars, where possible, and sacrifices. Here archaeologists have found ancient burial mounds and burial. In order to view these spectacular artifacts, you just find the right hotel in Kazakhstan in Almaty.